Jasper has always been a born protector. When he lost his one true soulmate in January 2000, his life changed. He didn’t just need to look out for himself, he had to look out for his soulmate’s baby – Lisa. 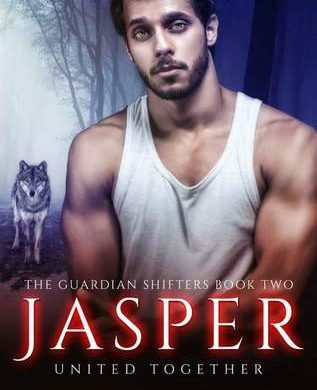 This takes him down a path that you don’t expect a shifter to take, but Jasper has found his place in the only life he knows. Fast forward seventeen years, and Jasper is still that born protector. He’s protected many people, but now that protection has backfired on him. He needs to look out for himself, put the past behind him, and move on with his life with his family. However, it’s not that simple, because the council has a hold over him. That hold needs to break, and only a united pack will be able to set Jasper free from the life he once loved. Loved this book-storyline. Jasper takes up where Lisa, Book 1, left off. The book is very well written with characters that will grab you heartstrings and not let go. Jasper is in trouble with the counsel. He is taking the blame for the packs actions concerning Lisa (as we know from book 1 of the series). On one hand they counsel has every right by law to have Jasper put to death but they know his loved by the various pack and an uproar would occur. So they decide to put him back to work. He must go as many missions as they deem necessary and he must go no matter where the mission is or how long it takes. But that isn’t a real punishment for Jasper as he’s not afraid of hard work. But when they tell him he can have no contact with his pack, his sons or Lisa for the duration of his punishment he is crushed. They knew how to hit him where it hurt. But to make matters worse they make him take Kevin with him, causing one more nail in Jasper’s heart (Kevin is Lisa’s Brother they have just rescued from a horrible existence). The first few days the counsel tries to break Jasper and Kevin. They are starved, caged and tormented. But suddenly they are given a chance to do one lone mission and if successful their sentence would be over. But at what cost? Is it a suicide mission? What does Jasper do when suddenly his loved ones are also drawn into things? Family and friendship lines are drawn in this amazing storyline while it defines family, pack-life, love and right from wrong. Lisa (book1) and Jasper are phenomenal shifter books that are not to be missed. I Highly Recommend Reading this series, you will not be disappointed. What a wonderful book. I love shifters and the author has given us a touching and heartfelt storyline. The book is very well written. I will say that I felt the book was a little drawn out in spots but being the first of a series those spots may be very well needed in setting up future books down the line. Also those spots did nothing to deter me from reading nor did they harm the overall storyline. (this is just a personal opinion I noticed while reading). As the title suggests, this is a book about Lisa, who is coming of age as a woman, a lover as well as a wolf shifter. Her world is turned on its axis when she learns she is not human, as she was raised by her adoptive parents, but is in fact a wolf shifter. She learns all this as a result of being in danger from her biological father. Her best friend, Marcus, and his father, Jacob, have been a part of her life since she was very little. They are in fact the ones that inform her of who she truly is, as they are both shifters as well. At this point Lisa’s world is a whirlwind. We follow her journey as she learns about herself, her birthrights, her history, pack-life and her future. It’s a wonderful journey that I highly recommend reading about if you enjoy shifter books. 2 Thumbs Up. Kelly is a writer from bonny Scotland. She is a dedicated wife and mother to Dylan and Tianna. Her first book ‘The Smile’ was published in May 2014, and she is over joyed at receiving great 5 star reviews. Since then Kelly has gone on to finish the paranormal trilogy and write 4 romance novels set in and around Scotland. Kelly is a very keen reader and writer. She love to discuss the books and projects that she works on. Kelly loves spending time with her husband and kids. They do a lot of walking and spend quality family days out. She also has two dogs and claims to have a slight obsession of pugs, stating she would have a house full of them if I could.